Every once in a while company’s get the bright idea of pairing up with us here at SCOF, and making what the world should know as revolutionary fly fishing gear. Naturally when Dave and I first saw Steve with the latest advancement there where a lot of man purse jokes, just because Steve had it and we didn’t. 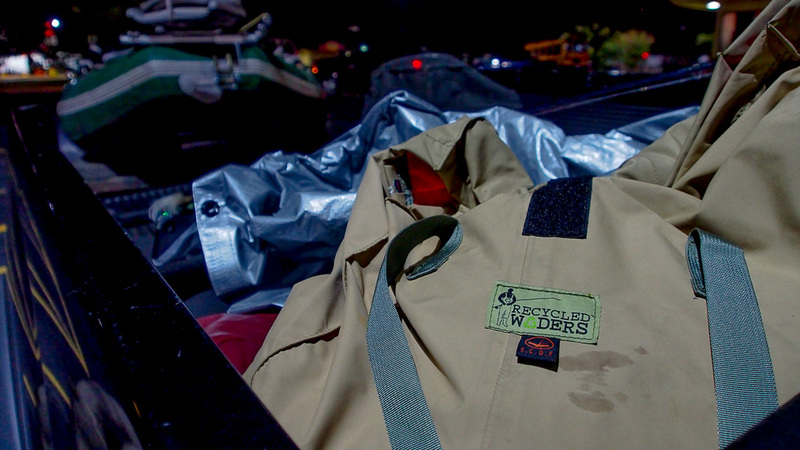 When one of the roll top gear bags from Recycled Waders was handed to me I didn’t turn it down. If you can’t understand what Recycled Waders is all about by just their name, you should probably retake the third grade to make sure you really soaked everything in. They’re the company that’s making functional creative things out of our stale waders from a few seasons’ ago. Functional is the only description this bag needs. A simplistic, water resistant bag made for the weekend’s clothes, deodorant, oversized indicators, and a tablet. Technically speaking it’s deep roll top over the shoulder bag, with nothing but one large compartment. Which is perfect for me because no matter how organized I think I am, if everything comes home it’s a win for me. 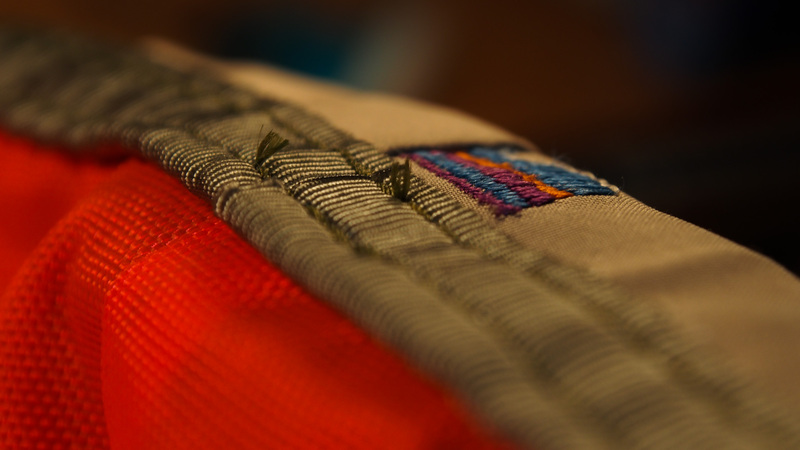 Recycled Waders never claims to make waterproof products out of their location in Seattle, just water resistant. Which makes it perfect for the weekend’s worth of stuff I’ve used it for time and time again. However it would be unlike me not to push a product to the limits. For example; throwing my roll of toilet paper into it and leaving my boat bag at home, that’s a big step of trust for me. Half way through a musky float the sky breaks open and doesn’t let up. Then four hours later putting feet back on the concrete fishless and wet, fully expecting everything else to be. You can guess my joy when I find nothing but dry goods in the bottom of my bag. Moral of the story; every once in a while you get more then your excepting out of your gear. Especially gear that you only pay 45$ for. 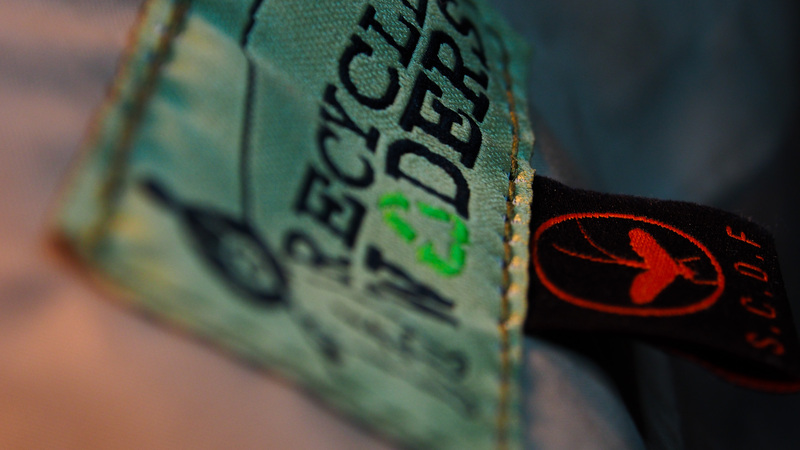 Go check out more co-brand gear at the SCOF store or even more cool stuff from recycled waders at their website. Links included just click on their name, go-ahead just do it.